The inaugural InsightOnEsports End of Year Awards will recognise the best teams, players, games and plays of the 2014 in competitive League of Legends. The inaugural InsightOnEsports End of Year Awards will recognise the best teams, players, games and plays of the 2014 in competitive League of Legends. In this, the third of three parts, the best games, series and plays of the year will be announced, along with the reasoning by those selections. 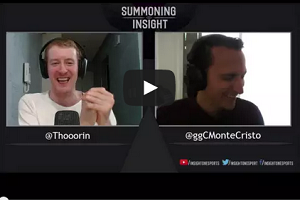 To get a more in-depth look into how we arrived at our selections, MonteCristo and I have recorded a video discussion.